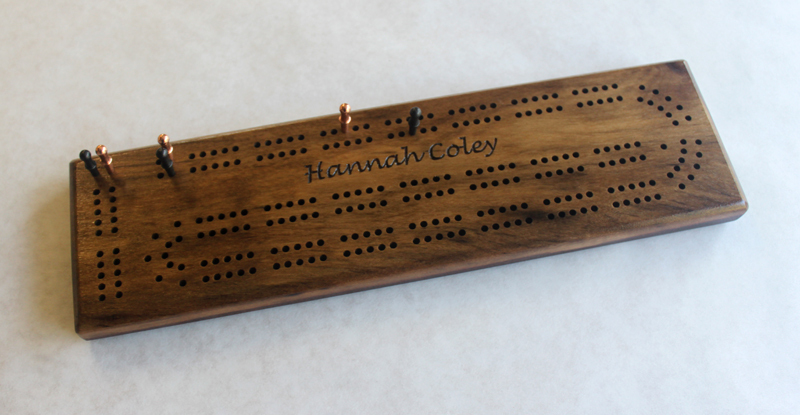 Here's a two track continuous engraved scoring board which you can order in a choice of woods. It measures 3.5" wide, 12.25" long and 3/4" thick. The price includes engraving on the top of a name or short phrase. 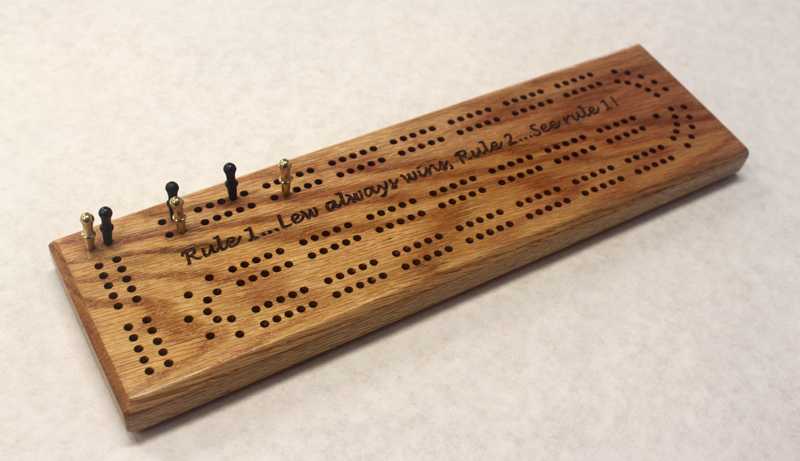 This board comes with eight metal pegs, in two colors, that live in a pocket in the back secured by a sliding brass plate. We also have a version without the scoring holes.